Published Nov 30, 2012 by Pearson IT Certification. Lesson One provides an introduction to voice communications by understanding the differences between analog and digital circuits used in the traditional networks and now implemented in today’s converged voice and data networks. 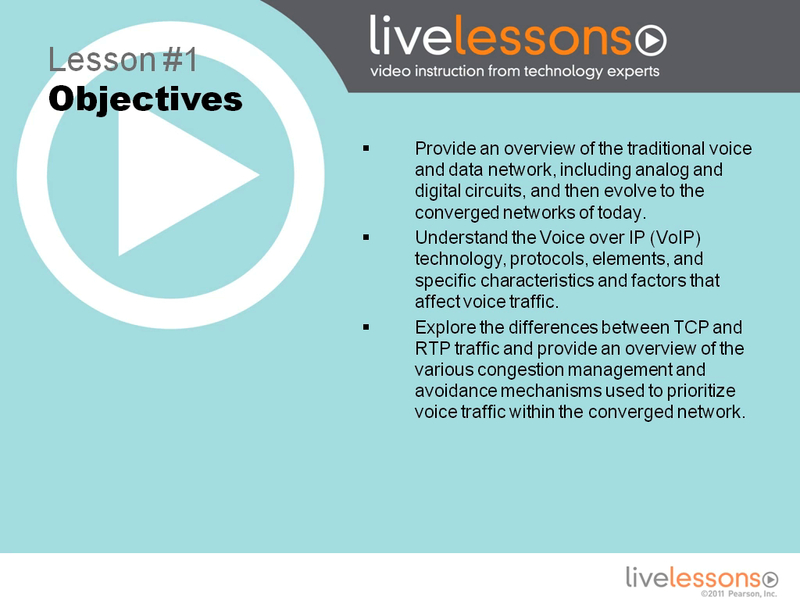 This lesson provides the students with an understanding of various traffic types used in the VoIP network, including voice, video and data. It will be important that student also understands the purpose and functions of the various gateways and protocols, as well as the elements and congestion mechanisms used to prioritized voice traffic in converged networks.